Decided to change the gearbox oil earlier this week to see if it improved the gear change. 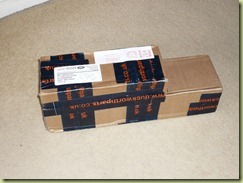 Firstly make sure you’ve got everything you need to complete the job in the right place, it makes life so much easier! Apart from the hand tools, these were the other essentials. 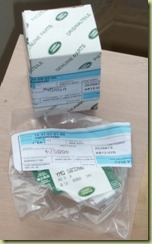 I decided to use ‘Genuine Parts’ MTF94 for the oil change as this is recommended by Land Rover for the R380 ‘box fitted to my vehicle. The oil pump turned out to be okay for the task, but a little messy if you weren’t careful and also a bit on the slow side. I think it’s better suited for filling only if you can get above whatever it is you’re filling. I was using it from below, so each ‘delivery’ probably only equated to approximately a third of a litre. 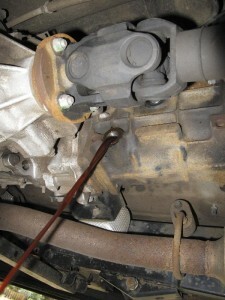 Another thing to do first before draining the gearbox oil is make sure that you can remove the filler plug. 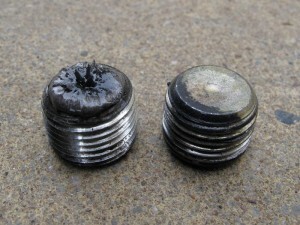 If you drain the oil first only to find the filler plug seized in solid, you’re in trouble! 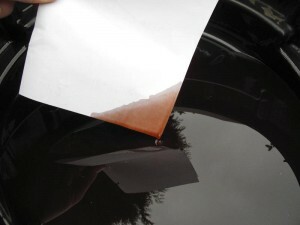 It’s also worth taking the car for a 10 minute drive before starting to get the oil nice and warm so that it drains more easily. Thankfully it wasn't a windy day! I’m glad I have a large oil drain pan as this made catching all the oil a lot easier. 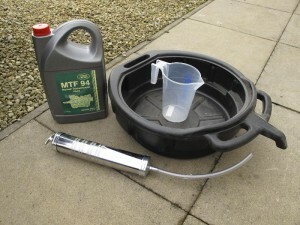 Once all of the oil had drained it was apparent that whoever had filled the ‘box before had used ATF rather than the recommended MTF, although ATF was used by Land Rover itself for a while before changing the spec to MTF. Whilst the oil was draining I cleaned up both the filler and drain plugs. You can see the usual collection of fine swarf on the magnet of the drain plug, this is quite normal. Land Rover recommend the use of threadlock on the threads of plugs (Loctite 290) when refitting, but I just cleaned the threads and refitted them without any. So far I’ve not had any leaks. 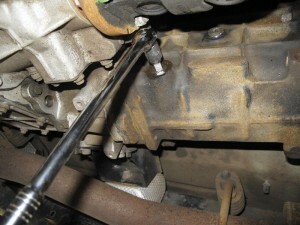 Also when refitting, use a torque wrench to tighten them to 30NM only. That’s it, job done. Now take it for a quick test drive and then get back underneath to make sure you haven’t got any leaks.